Some of you may have heard of his name before.... well, his name have been featured on CNN, New York Times, etc. for a controversy involving the ex-mayor of New York: Rudolph Giuliani!! This happened back in 1999, when Chris Ofili was part of a show, called Sensation, put on by fame gallery owner Charles Saatchi. This show traveled to Brooklyn museum in New York City in the fall of 1999. The said painting/collage by Chris Ofili, depicting a black Madonna with elephant dung, was so offensive to the mayor that he demanded Brooklyn museum to take down the painting or their funding would be cut. Overnight Chris Ofili became the art world sensation (pun intended. lol) and one of the star who broke out of the Young British Artists group. A year before the controversy in NYC, he won the Turner prize which is an annual prize presented to a British visual artists under the age of 50. This is the most prestigious and well publicized art award in England. In 2003, he was selected to represent Britain at the Venice Biennale. This Biennale, takes place once every two years, is arguably the most prestigious contemporary art exhibition in the world. This particular print, Siesta of the Soul, is his answer to William Blake's Song of Innocence and of Experience. You can read more about this William Blake's poem here. I like the color water effect of the print and the color he used on this print is beautiful. It's always hard to find a piece of limited edition art that is worth collecting while being affordable (his paintings have fetched close to $3,000,000). Well, lucky for us that Tate Modern had lowered the price for their exclusive limited edition print by Chris Ofili. It was priced at £405.00 but now it can be yours for £250.00! 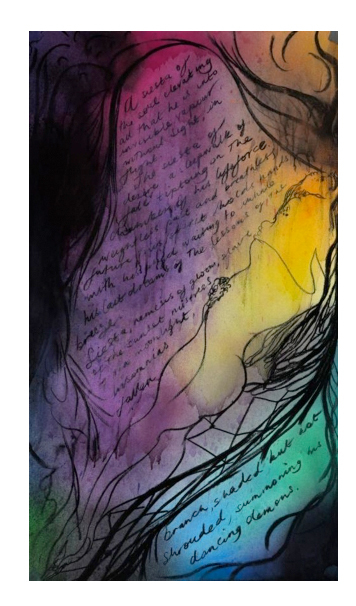 Not a bad price considering normally for famous artists like Ofili, their prints usually starts at a thousand and up.